Will fit: 13" Dianna Effner Little Darling Dolls, 13" Avery by MeadowDolls, 14" Betsy McCall and other dolls similar in size. Miss Lexi (13") is fashioning this darling 3 pc outfit. 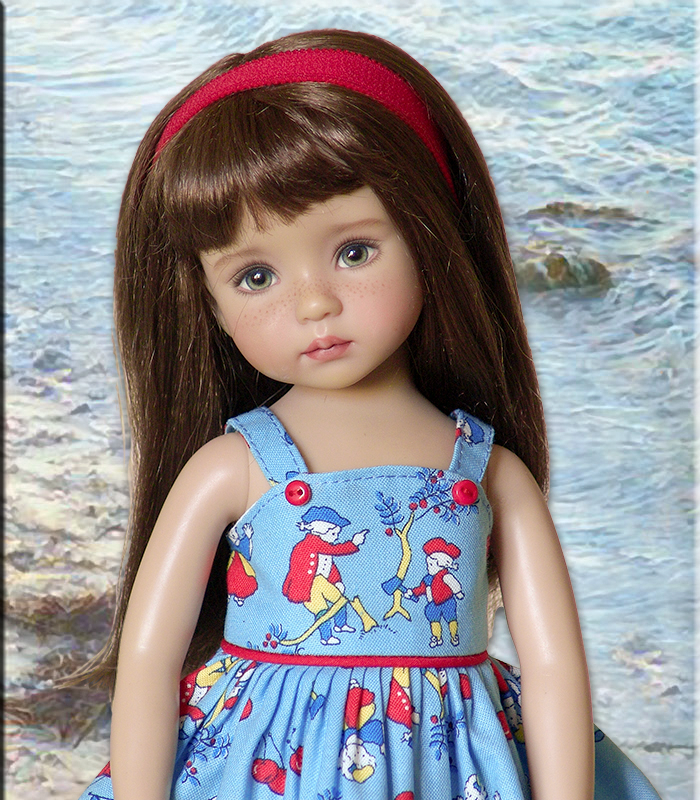 This darling sun dress is designed from two coordinating fabrics. and is lined and detailed with top-stitching and dainty stationary buttons. Dress fastens in the back with two sewn-on snaps. The matching shorts are accented with dainty white eyelet trim. The elasticized waist allows for easy dressing. The coordinating headband fastens under dolly's hair with a single sewn-on snap. *Doll and sandals are not included.